Perhaps the most central element of all SEO is the keyword. Successful SEO relies on finding keywords that have enough volume to turn a profit while having minimal competition. Yet with the internet constantly expanding, it’s harder and harder to find those keywords. That’s what these tools are for; quickly scanning keyword lists, or generating them with data attached, and telling you what kind of competition you can expect. Keyword research should be considered business-critical, and thus you should have a budget for it, but I realize that many small businesses need to aim for growth hacks and free tools to get off the ground before they can really invest in the top-tier software. That’s why I’ve put together this list of free options. One more note before we get into the list. I’ve included a few paid services that have free versions with limited data. There are a lot more of those out there, but they generally have lifetime limits or are limited in time. The options I give are free indefinitely, and their limits reset daily or weekly, so you can keep using them on a limited basis as long as you like. For more advanced paid tools, check out this link. 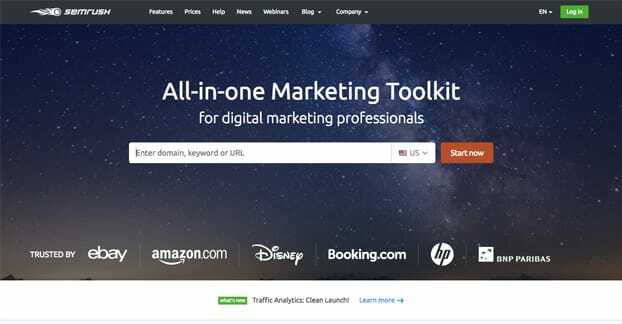 SEOBook actually has a handful of excellent tools, and they’re all available for free. They have paid accounts, but registration is currently closed, and the primary benefit you get from it is personal consulting, not tool access. 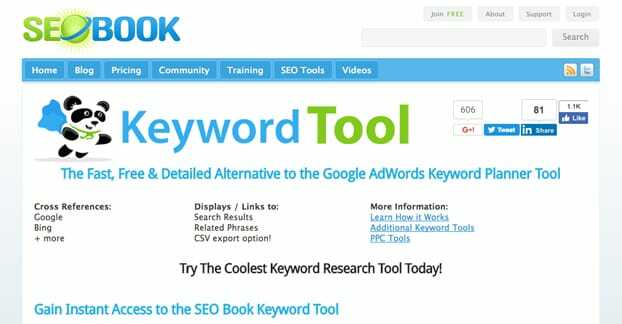 The SEOBook keyword tool is a keyword scraper that allows you to generate keyword lists and clean up existing keyword lists. When you plug in a list, you can scan various metrics for each keyword, including monthly search volume, daily search volume, ranking in Google and Bing, the CPC of the keyword for advertising purposes, and more. It’s also one of the few tools that offers specifically UK-centric metrics as well as generally US-centric metrics, if you’re looking for regional differences or you’re based in the UK. Of course, everything can be exported as a CSV so you can manipulate the data in other programs, or simply keep it offline for when you need it and a connection isn’t nearby. SEMRush is generally a paid tool, but they have a free search on a limited basis that can show you a lot of information, right on their homepage. Start by plugging in a keyword and seeing the data it can bring. It has organic search volume and raw results, paid search CPC and competition, phrase match and related keywords lists and their volume and CPC, and a read of the top 100 organic search results. Then along the side they have more detailed sets of information, including advanced keyword difficulty metrics and deeper sets of related keywords. You can also see data on a per-country basis, with over 115 countries to choose from. The primary drawback here is that the free account – or lack of account, since you don’t need to register or log in to use the homepage search – is that you’re limited to just 10 searches per day, 10 results per search, one single project, 10 tracked keywords, 100 crawled pages, and limited access to several advanced tools. If you want more, you have to pay for an account, which isn’t cheap. Another primarily paid tool that has some data available for free, this works as a general teaser for one of the many Moz services. You plug in a keyword and it will give you keyword volume, difficulty, opportunity metrics, potential analysis, as well as SERP analysis and keyword suggestions. Below all of that is a set of mentions with the authority and date of the mention, so you can look at recent competition. The main drawback, of course, is that it’s really just a teaser to try to hook you into the Moz network of services. You actually only get two searches per day, with a limited amount of data and no exports with the free version. Now, I highly recommend using Moz services. They’re all excellent, powered by some of the most intelligent and active SEO professionals in the business, and they have one of the largest non-Google indexes behind them. I understand if you pass as a startup or small business, though, as the $99/month price tag can be a little steep before you recognize the value of everything you get. 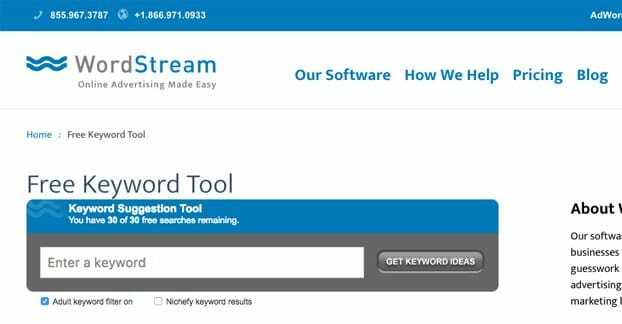 Keyword Finder is another excellent tool for keyword research, and of course it’s another paid tool with a limited free search. 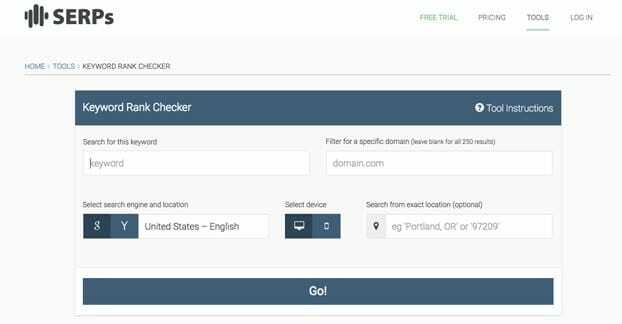 The free search allows you to plug in a keyword, a location, and a language, and it will give you keyword suggestions, trends, search volume, CPC, PPC, and a difficulty estimate. The limitation is that you only get about 20 results before they start bugging you to upgrade to see more. There are also two additional forms of search you can use with the tool; the autocomplete search and the questions search. Both of them use the Google API to pull what they say they’ll pull; autocomplete results when typing the keyword, and questions that relate to the keyword. Both include the same metrics of trending, search volume, CPC, PPC, and difficulty, though since they’re long-tail keywords and they aren’t as closely monitored, many of them will have limited or no data. I prefer to use the tool to explore broad keyword ideas rather than long-tail results. This is an exceptionally simple tool that works for benchmarking purposes. 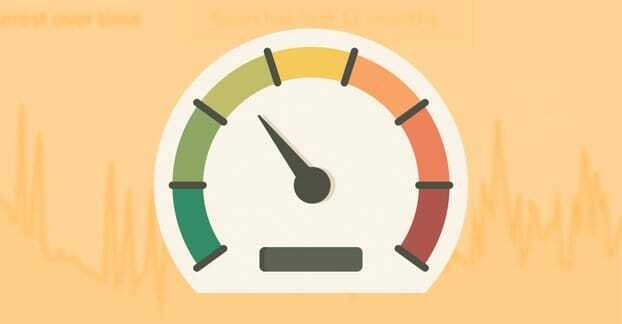 After all, you can look for general keyword competition all you like, but you really need to know where you stand to know what sort of keyword difficulty ratings mean. One site might be much more likely to rank for a difficulty 50 keyword than another. All this tool does is ask you for your site URL, your target keyword, your region, and a one-time captcha. It then polls Google looking for your URL in the search for that keyword and pulls your position. There’s no bulk option and there are no advanced comparison features, it’s really a very simple tool. Don’t expect much out of it. This is sort of similar to the above, but with a few more advanced options and more data. Plug in a keyword. Plug in a domain if you want to filter for that domain, or leave it blank to get a listing of 250 results. Chose between Google and Yahoo, desktop and mobile, and a location if you want (right down to zip code). What you get, after a load time where they have a bunch of “clever” SEO jokes, is a list of the URLs that show up and their positions for the keyword. You’ll also see an average search volume and average CPC for that search up at the top. It’s not a ton of data, but it can give you an idea of what sites are dominating the search results for a given term. Another tool from SERPs.com, this one is a more data-centric keyword research tool. You can plug in a keyword and it will pull a list of various spinoff keywords. For example, I put in “blog marketing” and it gave me data for keywords like “email marketing blog” and “blog marketing services” as well as the prime keyword itself. Data includes estimated search volume, CPC, and value. They don’t mention how they calculate value or where the data comes from, so I’d take that metric with a hefty grain of salt. You can download the data as a CSV, and you can save specific keywords to a customized list. Alexa is generally know for their web ranking list and their generally inaccurate metrics, but they have a lot of good data these days if you know where to look for it. In this case, it’s excellent for a little competitor keyword research. You can plug in a site name and, as long as there’s data for the site, get more information. Click on the “get details” button, then the search analytics tab, and you will see a list of search queries and data about the traffic the website gets from those queries. Some of it will be overly broad, but a lot of it will be nice and useful. 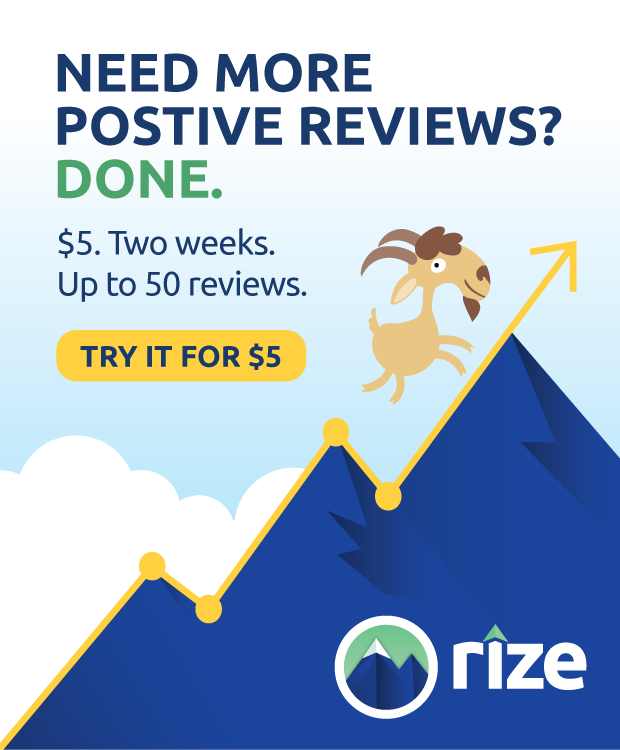 This simple keyword tool has a limit of 30 free searches for an unspecified amount of time, with another 30 available if you sign up for their 7-day free trial, which you can cancel before billing if you don’t want to pay for an advanced account. It has two options, one to filter adult keywords, and one to nichefy keyword results, which essentially eliminates the broad, general keywords from the results list. The down side to this tool is that you only get limited information from it. You get keywords and a relative frequency bar with no scale. The Google search volume and competition metrics are hidden to non-subscribers. 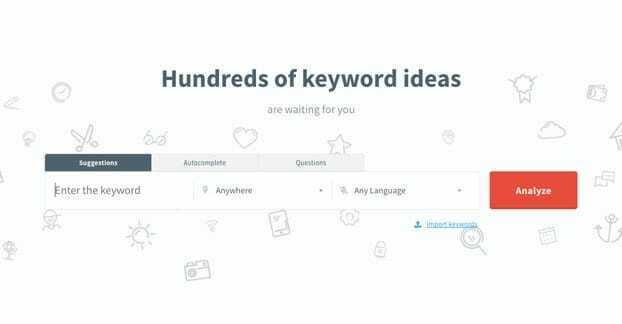 This .io site is a pretty simple freemium keyword tool. I use it just to pull keyword suggestions, because the search volume, CPC, and adwords competition metrics are all hidden to free users. On the plus side, you can add up to five negative keywords and add a filter to the results, if the list is exceptionally large, and you have the option to copy or export all data. Another competition spy tool, it works just as well for your own site, and has a keyword search as well. Plug in a domain to see the number of keywords it ranks for, the number of competitors it has, the organic keywords, and more. You can click on the organic keywords tab to get a list of the keywords, the position of the site, the volume, CPC, traffic, ads, results, and URL. If you prefer to use the keyword search, you can plug in a keyword and get plenty of data. You get the number of advertisers for that keyword and it’s CPC, the search volume, a graph of advertisers over time, and a whole list of related keywords with their volume and CPC. 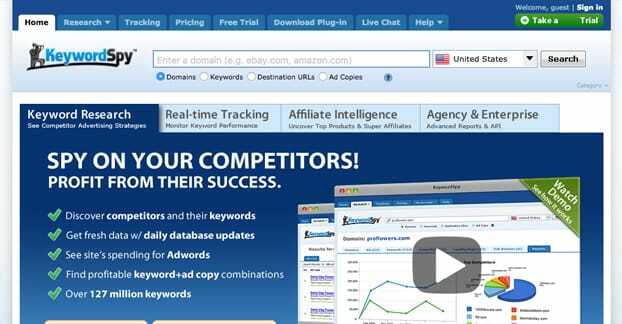 They also have tabs for ads data, related keywords, similar keywords, misspelled keywords, and competitors. It’s a great exploratory tool, though it does seem to lack an easy export button. No list of keyword tools would be complete without Google’s official tool. You need an active AdWords account to use it, but it isn’t as though you have to pay for one. There are two reasons this is down at the bottom of the list. The first is that everyone obviously knows about it already. The second is that it’s not actually a very good tool, particularly if you’re just starting out. You want accurate data on your keywords to make good decisions, but Google often only provide data ranges, which aren’t accurate enough to really provide what you’re looking for. You might not actually get the search volume they claim you will, which means you might be over-bidding for keywords, or otherwise making incorrect decisions. On top of that, plenty of keywords – particularly long-tail keywords that are very relevant to your business – might not have any data at all. If you want to get keyword data from Google, it’s actually better to just run small-value campaigns and measure data directly. The problem, of course, is that this isn’t free, so you’re stuck with what you can afford. Do you have a favorite free tool not listed here? Let me know, I’m always on the lookout for ways to improve my process.